Toyo University has various systems to support international students to concentrate on their study. 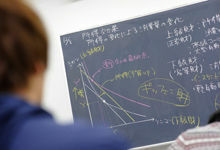 The university offers opportunities for international students to deepen their understanding of Japan by providing courses on "Japanese language and society". There are also special courses in each departments designed for international students. This association is a place international students can discuss their problems and help each other. It also organizes numerous events every year. With doctors and nurses on staff, the medical office can handle a variety of medical needs, including emergencies. The student consultation room has a staff of professional counselors that can assist persons with worries or problems. If you suffer an illness or accident, the Toyo University Foreign Student Compensation System covers the cost required to bring your family members to Japan. Toyo University will assume joint liability for incidents of damage requiring reparation that may occur in your rented residence by providing compensation within a specified range. Using this system eliminates financial loss and inconvenience for guarantors. "Working in Japan after graduation." "Interested in working in Japan." Toyo University has many programs for international students who wish to work in Japan. Toyo University is the university only selected "International Student Promotion Program" administered by Japanese government (the Ministry of Education, Culture, Sports, Science and Technology) in Tokyo. We positively support international students' employment in Japan. What Japanese companies valued most when they screened international students is Japanese skill in business. We provide various oppotunities for international students to learn business Japanese. Not so many Japanese companies accept international students for the internship. Toyo University provides oppotunities for internships in Tokyo and other attractive local cities (Shimane, Ishikawa, Ibaraki and so on) as own program. ※Kindly visit our website for further information. 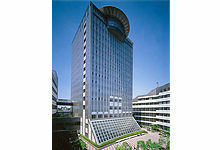 Onward Kashiyama Co, Ltd., Dainihon Jochugiku Co., Ltd., Mitsubishi Materials (Shanghai) Cooporation, Works Applications Co.,Ltd., The Gibraltar Life Insurance Co., Ltd., Otsuka Corporation, Seven-Eleven Japan Co.,Ltd., JDC Corporation, Ricoh Japan Co., Ltd., NAVER Corporation, Airport Terminal Service Co.,Ltd., The Windsor Hotel TOYA, Toraya Confectionery Co., Ltd., Sanyo Energy(Suzhou)Co.,Ltd., NISSIN Foods Holdings Co., Ltd., Murata Manufacturing Co., Ltd., Weathernews Inc., ITOCHU Corporation, Shiseido Co., Ltd., Mandarin Oriental and Tokyo, etc. Toyo University, founded by the philosopher Enryo Inoue, has history and tradition more than 130 years. The university develops the tradition and open the door into the world beyond countries and cultures. It also manages the learning environment and supporting systems, and provides forefront education. Students who are major in Faculty of Letters, Economics, Business Administration, Law, Sociology, Global and Regional Studies, International Tourism Management will be studying at the "Hakusan Campus" for 4 years. 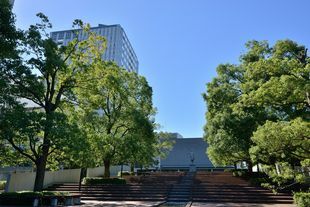 The Hakusan Campus is located in the heart of Tokyo, which offers easy access from Saitama, Chiba and Kanagawa Prefecture. Students who major in Faculty of Information Networking for Innovation and Design will be based on "Akabanedai Campus," fully equipped and enable to study the latest technology. On the other hand, Students who major in Human Life Design will be based on the "Asaka Campus※" which is well equipped with sports and practical training facilities. Students who major in Science and Engineering and Information Sciences and Arts will be based on "Kawagoe Campus" which has lush environment and advanced equipment. Students who major in Life Science・Food Environment will be based on "Itakura Campus" which has the experiment building with the latest equipment. ※Major in Human Life Design will be based on Akabanedai Campus in April, 2021. *The departments, faculties and courses which are not opened for international students are not written above. Deepen your studies, have great experiences. Toyo University is a comprehensive university with a wide range of undergraduate departments from the literature to the science. Taking advantage of our comprehensive strength, we offer various curriculum such as courses which open to all students regardless of faculties, and highly skilled professors provide various distinctive education. Graduate school which has 13 schools and 35 courses also conducts highly specialised researches in each fields. There are a lot of projects which recieve external funding by excellent performances. World class researches collaborated with latest research center are in process. Society Admin Fees may be required depending on department and faculty. 30% of the Tuition Fee will be exempted. The university reduces its tuition by a certain amount for international students who pay their own expenses in order to alleviate their economic burden and support their motivation to study. Select from students who have financial problems, and satisfy standards of academic performances and other requirments. Application system. JPY 100,000/ month (Annual total of: JPY 1,200,000)May not be received simultaneously with other scholarships. This scholarship was founded in April 2002 by President Shiokawa Masajuro with the objective to enhance International Exchange and to nurture International Students. Undergraduate Program: Students who are in their second, third and fourth year. 2 students from each faculty yearly. With distinguished academic result and attitute, active role while in school and have plan to return and contribute to home country after graduation. ※This scholarship cannot be applied. JPY 300,000 May be received simultaneously with other scholarships. This scholarship will be awarded to student with distinguished academic result and attitute throughout the enrollment. Undergraduate Program: Students who are in their second, third and fourth year. 1 student from each faculty yearly regardless of department. Self-sponsored International Students with distinguished academic result and attitute, active role while in school. This examination will be conducted for all Departments. For further details, kindly refer to our official website under Entrance Examination, information will be updated in June, 2020.